Our fibre-to-the-home services make slow, unreliable connections over copper networks a thing of the past. We're bringing you next-generation super fast broadband and cutting edge telephony loaded with goodies. SAQ has been delivering high quality services to customers since 1996, our broadband products are straightforward with no fair usage or hidden cost, high speed at an affordable price. 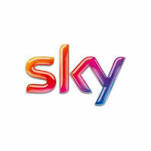 British Sky Broadcasting Group plc is a satellite broadcasting, broadband and telephone services company headquartered in London, with operations in the United Kingdom and Ireland. We are your source of IT consultancy, development and support and training. We offer a range of services to all sizes and types of enterprises organisations. We have developed methods to enable any company to benefit for enterprise-class support. Link-Connect delivers managed wide area network and cloud computing solutions to multi-site, UK-based business and schools. Broadband has become the fourth utility. Our mission is to deliver vastly improved telecommunications, regardless of location, existing land line infrastructure or any restrictions. Stream Networks own and operate a dedicated, carrier grade, 21CN network, helping transition our customers communications and business support platforms to the brave new world of unified communications and 'information everywhere'. Surrey Hills Internet delivers ultrafast full-fibre internet services to demanding business customers, and create rural fibre network solutions in and around the Surrey Hills over our own ‘smart’ full-fibre (FTTP) network. Based in the South West, we cover all areas from remote rural houses to urban towns. Providing Fixed Wireless Broadband, FTTC, FTTP, Leased lines we can cover the range of requirements our diverse customers have. Cover can be extended to 24 hours where required and businesses as well as domestic customers enjoy a wide range of service options. UK Telephone Support; High Availability; 24/7 monitoring & Support; UTM Firewall protection; Ultimate Performance; Plesk Control Panel. Detail. VPS Servers. Tagadab provides safe, secure, and reliable server packages, and virtual solutions for all your hosting requirements. Having received multiple ISPA awards for their unique cloud hosted web filtering and internet security solution, Talk Straight, and their member company Schools Broadband, provide affordable access to some of the world’s best protective technology available for schools and businesses. B2B IT Services, including hosted services, ADSL, leased lines, VoiP, telephone lines and calls. Telecoms is a new service for us and we are keen to do it properly. Based in Sussex, Trunk Networks provides connectivity to clients throughout the UK and help clients extend their business in to the Cloud. UK Broadband is the UK's largest commercial holder of national radio spectrum suitable for 4G mobile services and fixed wireless solutions. We switched on the first 4G LTE system for commercial services in the UK in February 2012 in London and now provide 4G LTE services in London, Reading, Swindon and Scunthorpe. We've been running for over 8 years, providing reliable, cost effective hosting solutions to customers all over the world.